Los Angeles Angels center fielder and Millville, New Jersey native Mike Trout is headed to the disabled list for the first time in his career. The reigning American League MVP faces surgery with a torn ligament in his left thumb. 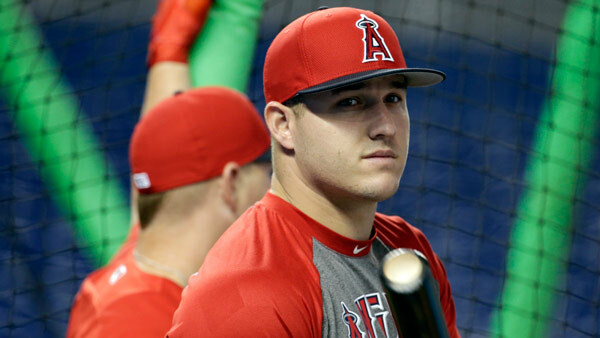 Angles general manager Billy Eppler told reporters Monday that Trout's absence will be longer than a couple of weeks after results of an MRI exam revealed the extent of the injury. On Monday night, the Angels announced Trout would need surgery. The typical timetable for a return is six to eight weeks. Trout, 25, suffered the injury Sunday on a headfirst slide while trying to steal second base in the fifth inning of a 9-2 loss to the Miami Marlins. TROUT UPDATE: Mike Trout will have surgery on Wednesday to repair UCL in his left thumb. Typical timetable for return is 6 to 8 weeks. Trout, the AL's MVP in 2016 and '14, jammed his thumb into the base and yelled in pain as he rose from the ground. He was examined by a trainer and stayed in the game, but was replaced in the sixth. 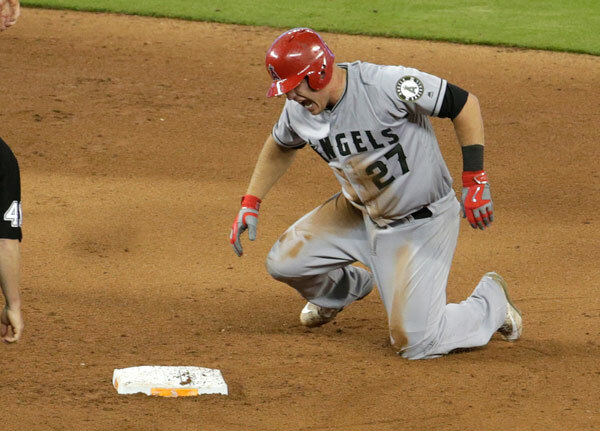 Los Angeles Angels' Mike Trout (27) reacts after stealing second during the fifth inning of an interleague baseball game against the Miami Marlins, Sunday, May 28, 2017. Trout went 0-for-2 on Sunday and is batting .337, the second-highest average in the AL. He has 16 home runs -- tied with Yankees rookie Aaron Judge for the major league lead -- and is fourth in the AL with 36 RBIs. 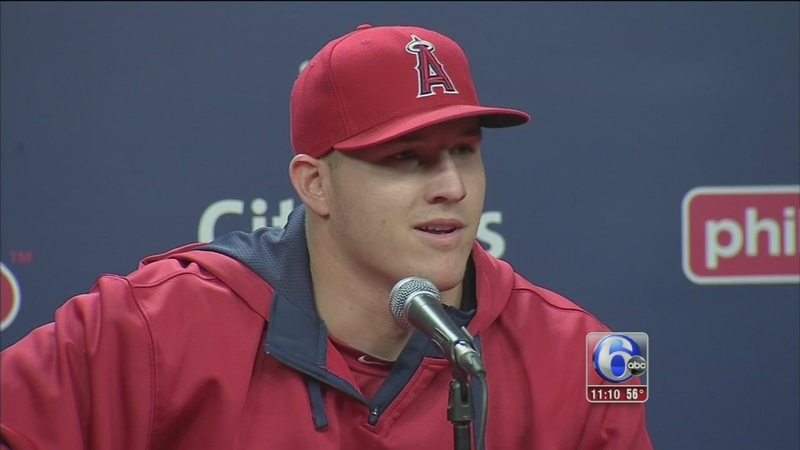 Kenneth Moton reports on Mike Trout's homecoming. ESPN & The Associated Press contributed to this report.